With yesterdays unveiling of yet another Archos tablet, this time the ChefPad meant for the kitchen, it’s high time to recap the selection of kitchen tablets that are available right now. Let’s begin with the most dedicated of them. The QOOQ, seen below, was the first, and still only proper kitchen tablet made to actually enhance and support the overall cooking experience. The QOOQ is able to withstand smears, spills, and bit of heat without complaining. And it comes loaded with features that actually enhances cooking and assists both novices and experts alike in preparing the dish of their choice. 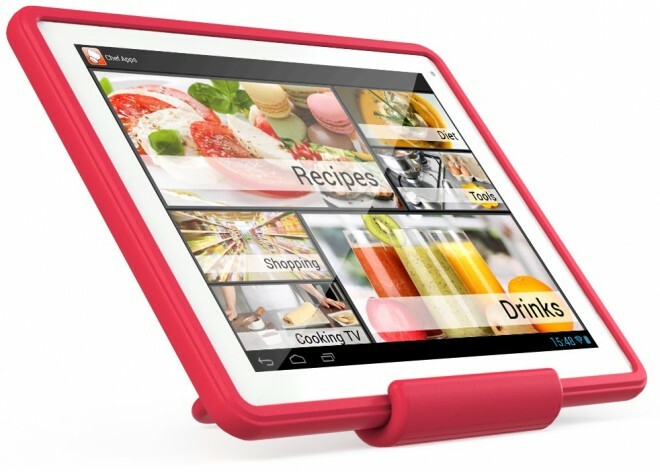 The QOOQ is well thought through as a cooking tablet. It comes preloaded with a great deal functions and recipes, but an upgrade is offered through one-time purchases or subscriptions, whenever people feel like expanding the selection of recipes, cooking and health advice, videos by Chefs, other kinds of food and eating related information. This is otherwise a 10.1-inch (1024×600) Linux tablet, with a 1GHz Cortex A9 processor, and microSD expandable storage. In addition to helping in the kitchen, this tablet can also perform other tablet tasks, but is naturally limited on the app side, because of the Linux OS. The current price is $399, which is what I would call overpriced. But, at least it looks great and very few people have something similar. 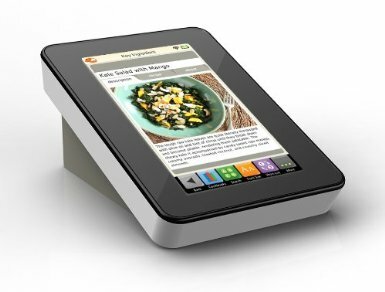 Then there’s Archos ChefPad, unveiled on May 13th. Underneath this is a much more normal tablet computer with a 9.7″ display, 1024×768 resolution, Android 4.1 Jelly Bean OS, and a dual-core 1.6 GHz A9 processor. So with that in place, you have access to all the cooking apps in Google Play store. And best of all, when this tablet is released next month in June sometime, it will sell for $209.99. 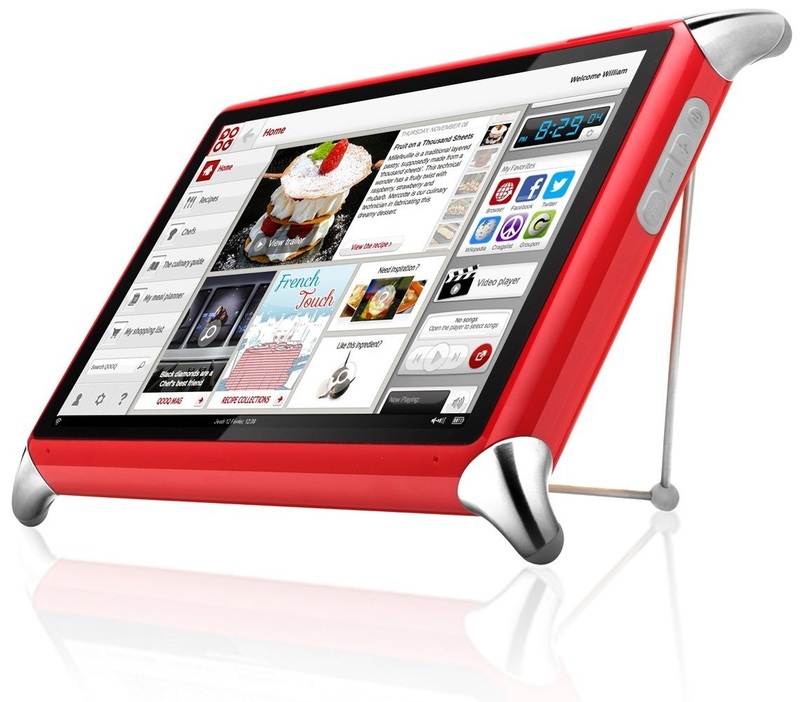 To make it a kitchen tablet, Archos has given it two features. The second feature is what Archos calls Let’s Get Cooking, which is a silicone case created to keep it protected from water or food splashes, and is supposedly easy to clean in addition to having a adjustable kickstand stand which should come in handy during cooking. A third cooking tablet is a the rather anonymous device called Key Ingredient Recipe Reader . This is essentially just a digital cook book with no access to tablet features whatsoever. Also, it’s not so much a tablet as it is a brick. 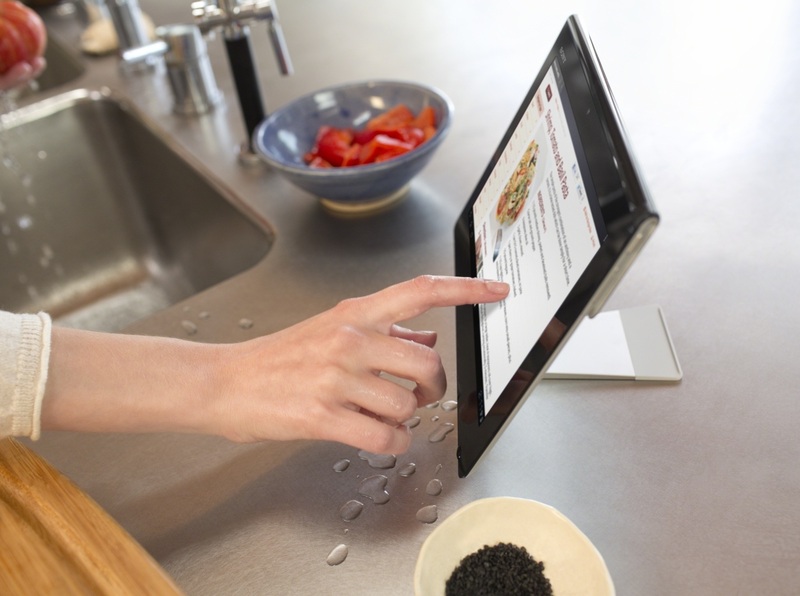 And finally there are two tablets from Sony well worth a place in the kitchen tablet category. 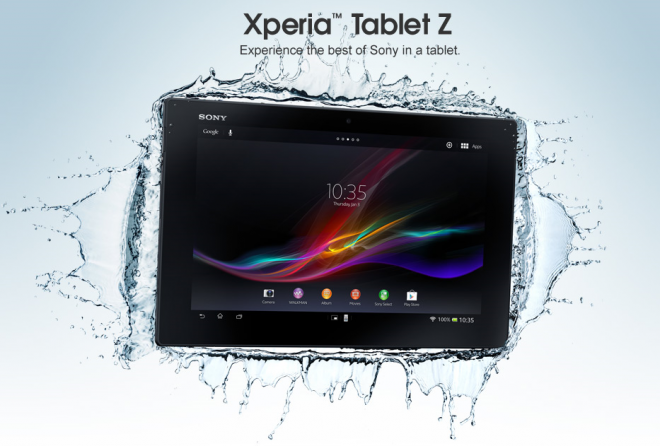 One is the very solid Xperia Tablet S released by Sony last year. 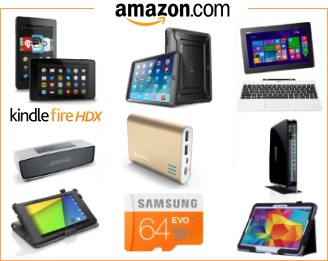 This is a splash-proof 9.4-inch Android tablet with plenty of great accessories. Original priced from $399 for the 16GB model, it has recently seen prices slashed by an average of $100, depending on how lucky you are. Currently priced at around $309 from major retailers, but with TigerDirect currently selling them at an unbeatable price of only $299 . The other tablet from Sony is the fully waterproof Sony Xperia Tablet Z. Sony even suggest you take this tablet with in in the bath tub and soak it after you’ve done cooking. That’s how waterproof it is! This 10.1-inch, 1920×1200 resolution, high-performance Android tablet is so hot out of the oven that it haven’t even been released yet. But it will be on May 24. The pre-order price is $499. Can they cook? Considering the abundance of cooking apps in Google Play, most people can get much more out of a tablet altogether by simply buying a few decent kitchen and cooking apps, instead of buying a dedicated kitchen tablet with limited use. And before we forget, some people have put the iPad to use in the kitchen too, in the most unlikely ways.